I spent a few years as a growth hacker for tech start-ups in Asia. During this time I worked with many startups, both successful and not. I spoke to many start-up founders and learnt about their successful and less successful ventures. I tested what they said and watched which results worked and which did not. Since I have been back in the UK I have noticed that many people would like to start a company but just aren’t sure where to begin. In Asia, especially HCMC, every other person I met had at least attempted to found a startup. People in Asia have a tendency to learn by doing. I have coupled this together with the ‘agile mind-set’, try small then get something working, then expand this as you go. Get a minimal (in this case, chargeable) product, see this work, then build up adding new features as you go. One of the best visualisations of this is the idea is the example of building a car. 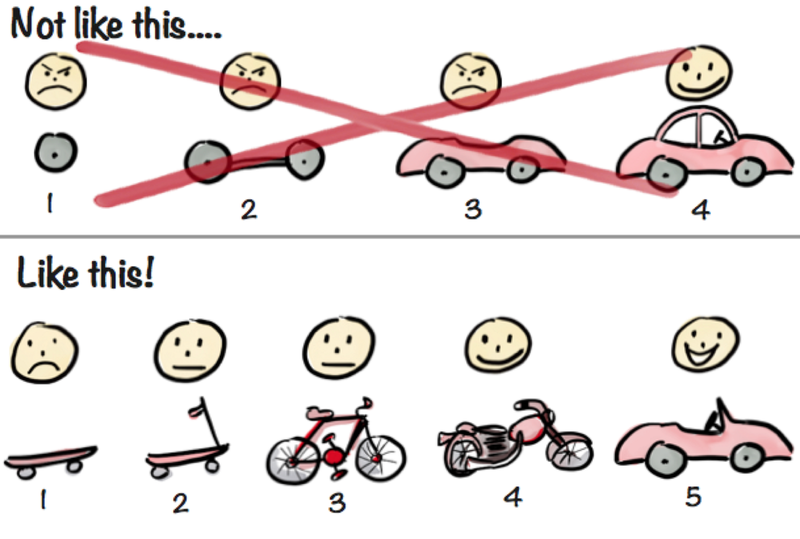 The agile way says don’t start with a wheel, start with something small which achieves a scaled down version of the functionality you are hoping to deliver, such as a skateboard. From all this I thought I would put together a practical guide on how to start your own company. This guide will go through the most effective way to start a company. It will not guarantee success it will just increase your chances. Get some customers first. Make sure they are willing to pay for your product/ service. DO NOT GIVE IT OUT FOR FREE. You need to know if your product/ service is something people are going to pay for. Start on the presumption that you don’t fully know what your customers want. Look to solve a problem that your potential customers have right now and are actively looking to solve. Design something which is cheaper, faster or easier than the way they are currently solving this problem. Don’t build anything more than you need to satisfy these customers. Only ever scale to 10x of what your current customer base is. These first set of customers get an Minimal Chargeable Product (MCP). This means their experience slightly mimics what you think the final product experience will give them. This could mean you build nothing and manually delivering the experience. For example, if you want to build an on-demand food delivery service platform, you produce a manual list of all the places your customers can order food from, you then personally go to these places and deliver the food. Most importantly, GET AS MUCH FEEDBACK from your customers as you can at all stages of their journey with the product. Use this feedback to guide the direction you take your product/service. Assume you do not already know what they want. User testing — observe how your customers actually interact with your product/ service. Talk to your customers about their experiences of each stage of their interaction with the product/service. Ask them to show you what they usually do to solve the problem and get them to walk you through it. Asking them to fill in anonymous surveys with include both quantitive and qualitative questions. Try to avoid leading questions. Family, friends, friends of friends. Choose the people who you think would be most suitable i.e. they could be potential users of your product/service. You are trying to test your hypothesis, is there a need for what you are proposing. Have an idea of what it is you are trying to achieve, what your company will be. DO NOT tell them about the company you are thinking of developing. Start by talking to them about the problem, ideally asking some non-leading questions and trying to let them lead the conversation. Ask them the last time they had the problem what did they do to try and solve it. Did they spend hours googling it, did they spend hours manually botching together a solution etc. If they have been putting considerable time, effort or money into solving it then this is a potential customer of yours and your idea has potential. Cons: The closer this person is to you the less likely they are to be a genuine customer. Their feedback may therefore not be as useful and may be biased. To mitigate this, you could always pretend it is not your company but someone you are working for. Remember feedback from these people will guide what your final product/ service will be. E-commerce sites (such as eBay, Amazon, Etsy). Be aware the larger the site is the more you may have to use paid ads, SEO etc, and the higher the competition for users eyeballs are. Pros: If you get people they will be your actually users. You will receive non-biased feedback. Cons: Hard to attract attention / stand out in the large crowds of products and services. None of the sites may be specific for your product or service. Not much scope / space to define your problem properly. This is the most tailored but also the costliest and most technical and complex approach. It entails running paid online ads on google or fb (or whichever platform you chose) which lead to a simple landing page stating your proposition and enabling you to sell your first version of your product. How many people purchase your product as a % of the amount who saw it (traffic). Click through rate — how many people on the page click through to purchase your product. Traffic to the page. Click through rate of the ad. Bounce rate. — measures if the traffic which clicked on your ad was genuinely interested. You can stop at the first stage — building the initial landing pages, and use feedback gathered to decide what to do next. I will briefly describe some techniques[mt1] . What should I put on these landing pages? 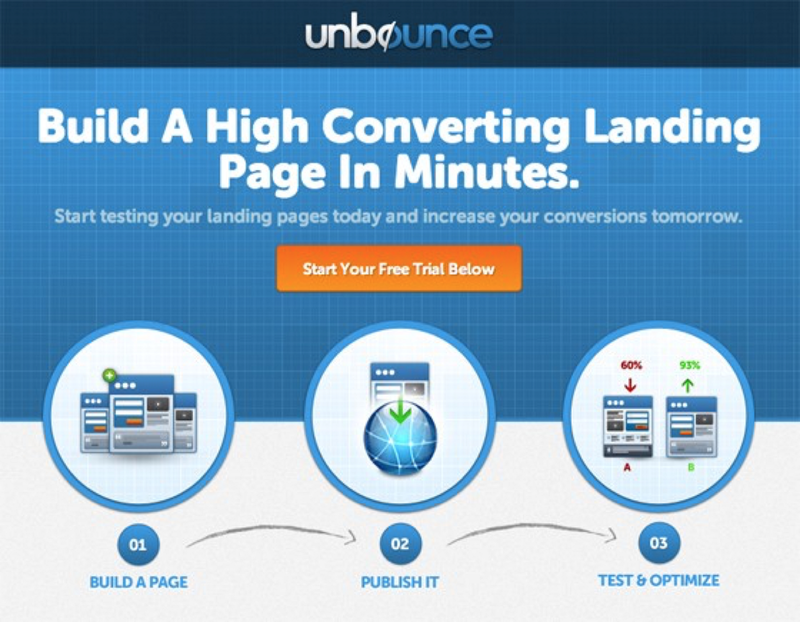 You should build a number of landing pages each with a slightly different propositions. The quality of the landing pages should be the same. They should look basically the same only varying the text. I am assuming at this point you have a board idea of the problem you want to solve / the type of company you want to build. This will also include some assumptions of how your potential customers (people who have this problem and are actively trying to solve it) are currently dealing with this problem and where they are going to get the solution. The content of each landing page should focus on one problem /solution which should be simple and obviously phrased. A good way to identify a number of potential solution would be to assume many of your online customers are currently trying Google solutions to the problem you are going to solve for them. You can use search traffic in this case to try to decide what solution to build. Create a Google Search account and start typing in potential searches you think people would do if they were looking for your product. Look at the volume of search traffic these words are getting and completion for these keywords. Recently Google has removed the ability to see search volume of keywords so you will need to use some other tools such as MOZ or Ahrefs, both of which have a free trail. From these choose a number of small variations of your product/ service. Choose these based on the keyword/ phrase which have the largest search volume yet low/medium competition. Choose low/medium competition as this means that there are less potential competitors. Each landing page should focus on only one solution. How many landing pages do I need? This depends on how many variations of your potential product/ service you want to try out. You could start with 4 which would be enough to focus on enough variations of your product and yet not too much that it costs too much in time, effort and money. How can I build landing pages? If you don’t want to do any coding you can use a free trail at unbounce to create drag and drop quick and easy landing pages. You can use wordpress (Content Management System) and plugin a number of landing pages (built in unbounce). This will mean they will all start with the same domain URL. If you are more technical you can create a simple php single page website with one of the many html / free bootstrap templates. You can host this with heroku for free while you don’t anticipate much traffic. Or you can purchase a domain and pay for hosting with one of the many providers such as HostGator or BlueHost. Secondly put some money into paid ads (Google ads, Facebook) and direct the traffic to the correct landing page. Set up a google Adwords account. Create an ad with copy and link it to your landing pages. Bid on the keywords you had decided to create your landing pages for. Make sure the copy of your ad corresponds to your landing Page. 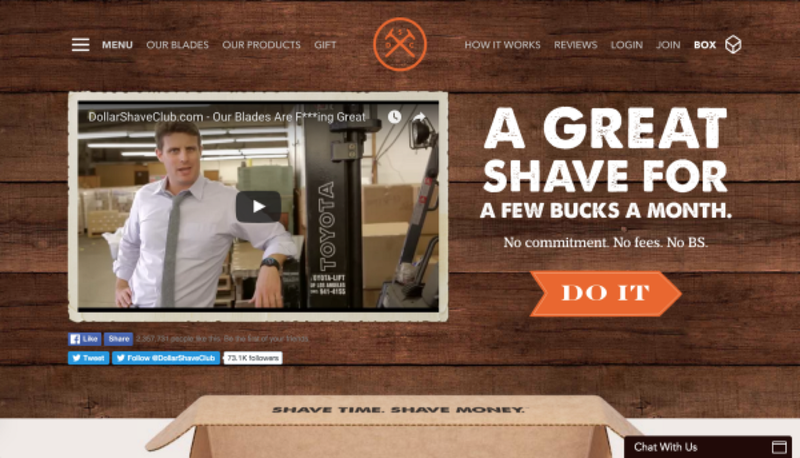 Vary your ad copy per landing page. You can also run a series of different ads for the same landing page (AB tests the adverts themselves). How much money and for how long should I places these bids? You should bid slightly higher than google recommends. This is become your site is not trusted at the moment and so you will need to pay more than older more reputable sites to win the bid and place an ad. Monitor how many ads you are getting and if it isn’t many after a few days increase your bid amount. Collect feedback including the additional feedback mentioned above. Create the next iteration of your product based on this feedback. Even if this iteration is just going back through this process again but changing the wording of your ads etc.